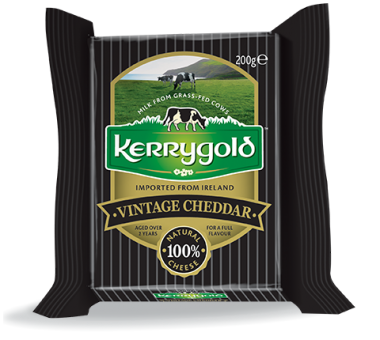 Kerrygold Vintage Cheddar has earned a spot on the best continental cheese board. For cooking, this cheese enhances soups and potato gratin, instilling a rich creamy flavour. The vintage seal is hard won. Once you get it, you have to keep it. Graded constantly to ensure exceptional quality, this cheddar has all the creaminess but with a rich, rounded finish that lingers in the mouth.